Your confidence about your teeth affects how you feel about yourself, both personally and professionally. Perhaps you hide your smile because of spaces from missing teeth. Maybe your dentures don’t feel secure. Perhaps, you have difficulty chewing. If you are missing one or more teeth and would like to smile, speak and eat again with comfort and confidence, there is good news! 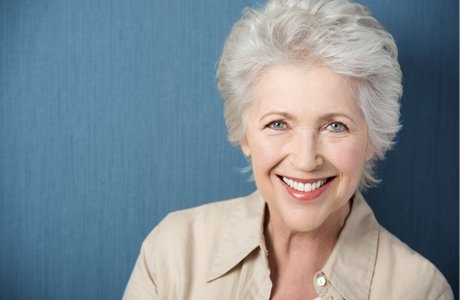 Dental implants are teeth that can look and feel just like your own. Dental implants can be the best solution to the problem of missing teeth. A dental implant, a titanium post, is an artificial tooth root and the foundation for a replacement tooth or bridge. Dental implants integrate into the structure of your bone which will prevent the loss of bone and gum recessions that often accompanies bridgework and dentures. Additionally, they can be cost-saving because you are replacing only one tooth, not three as required by a bridge. Implants are natural looking and feeling. Your confidence in smiling and eating will be restored. You can speak and eat with confidence while no longer being concerned with discomfort of dentures or bridges. Dental implants can be used as a single tooth replacement, multiple tooth replacement or if you are missing all of your teeth, an implant supported full bridge or full denture can replace them. Your dental implant treatment plan will be tailored to your specific needs. The total time for treatment can range anywhere between six weeks to over a year depending on the complexity of your case. It is important that you work as a team with your oral surgeon and restorative dentist to reach your treatment goals.